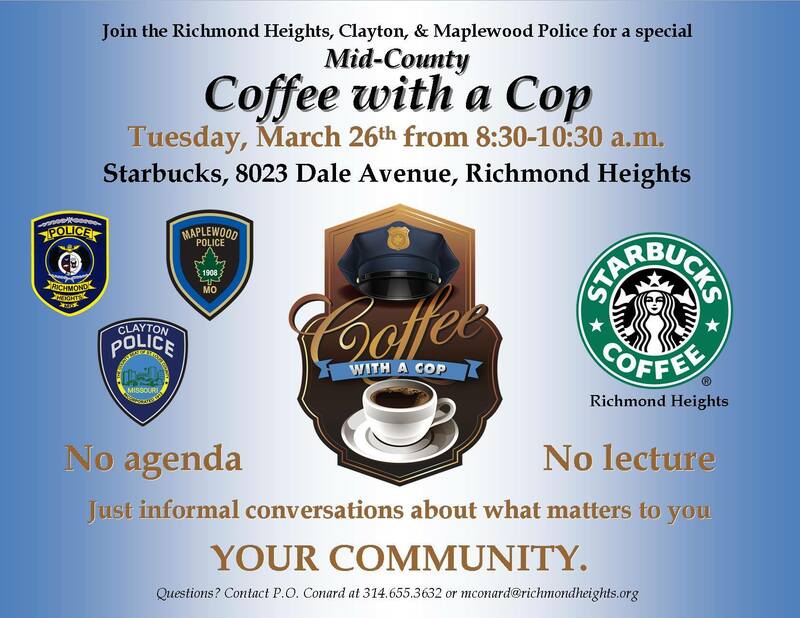 Join police officers from Richmond Heights, Maplewood and Clayton for coffee. No agenda. No Lecture. Just coffee with a cop.